U.S. mobile operators invested $30 billion in their networks in 2012, representing an all time high in capital expenditure spending for one year. This is part of a "virtuous cycle" that is boosting the networking industry and the American economy, said Steve Largent, President of CTIA, speaking at the opening of CTIA 2013 in Las Vegas. The CAPEX spending by U.S. operators accounted for 25% of all wireless network CAPEX worldwide. It also represented an investment of $94 for each mobile subscriber in the U.S., compared to a global average of $16 per subscribers by other mobile operators worldwide. Largent said the virtuous circle has enabled the U.S. to leap ahead in mobile technologies. The biggest LTE networks are now in the U.S. The mobile platforms developed in the U.S. are second to none. And the ecosystem of app developers is stronger in the U.S. than anywhere else. Largent also spoke of the urgency to make additional spectrum available in the U.S. market. He expects that it the ambitious target of adding 500 MHz of spectrum for commercial is realized by 2020, it could increase the nation's GDP by $800 billion. Finally, Largent previewed the much larger "SuperShow" that CTIA is planning in partnership with IFA for September 2014. Verizon Wireless will begin rollout of small cells in its LTE network in the second half of 2013. The small cells will be installed strategically to add capacity to high traffic areas and extend coverage to hard-to-reach locations and indoor sites. Ericsson will be providing its micro RRUS (Remote Radio Unit) small cells for Verizon's 4G LTE network. The micro RRUS works with any baseband unit part of the RBS 6000 product line. The introduction of Ericsson's micro RRUS is an industry first deployment. Ericsson also confirmed that it will also provide its micro RBS 6501 (Radio Base Station) for the Verizon network beginning later this year. Another industry first, the Ericsson micro RBS 6501 is a multi-standard base station supporting 3GPP 37.104 and provides local-area and medium-range coverage in a heterogeneous network environment. The micro RBS delivers high-capacity coverage in a small form factor. "Small cells will play a role in the Verizon Wireless strategy to add capacity in high-traffic locations and provide the best customer experience possible on the nation's largest 4G LTE network," said Mike Haberman, Verizon Wireless Vice President-Network Support. Verizon Wireless also announced LTE activation in 6 new markets, bring the total number of market with LTE coverage to 497. The carrier said its LTE footprint now covers 95% of its 3G network. Nokia Siemens Networks is introducing traffic steering capabilities for its Smart Wi-Fi solution . The new capabilities give operators real-time information about their own or partnered Wi-Fi access points. Operators can then enhance customer experience with dynamic traffic steering between cellular and Wi-Fi networks based on real-time network load. The traffic steering capabilities can be complemented with sophisticated ANDSF* rules based on user profile, timing, location and application usage ensuring that mobile operators have necessary tools to start enhancing their networks with Wi-Fi traffic steering today. The company is also launching a new 3G Femtocell Access Point for seamless connectivity in residential areas. The new FAPr-hsp 5120 Femtocell Access Point (FAP) helps improve indoor 3G mobile broadband coverage (HSPA+) for residential users. Ericsson introduced 3GPP compliant Wi-Fi network access, control and management solutions that enable mobile operators to incorporate Wi-Fi in their heterogeneous network strategy, while delivering a consistently high-performance user experience, even in high traffic areas. Ericsson's real time traffic steering provides the ability to automatically selects the best connection. The network constantly assesses key performance indicators in both the mobile 3GPP network and the Wi-Fi network before dynamically and seamlessly shifting the consumer's smartphone connection between networks. This ensures the best user experience and optimizes network resources. Real-time traffic steering is a network-driven feature requiring no user intervention or additional device software. Ericsson also now supports access selection, a self-optimizing network (SON) feature enabling load-balancing between Wi-Fi and 3GPP networks to optimize the average user experience. Ericsson has also developed the first 802.11ac access point designed to enable mobile operators to deliver supplemental small cell or standalone Wi-Fi coverage indoors. Two new cloud-controller options, both featuring 3GPP-standard interfaces to the mobile core, make it easier and more cost-efficient for operators to add Wi-Fi to their existing mobile services. The Ericsson Evo Controller now features a Wi-Fi controller blade, the WIC 8030. A new standalone controller, the WIC 8100, supports up to 10,000 access points and 500,000 concurrent subscribers, allowing operators to consolidate multiple Wi-Fi networks from a centralized location in a cost-efficient way. 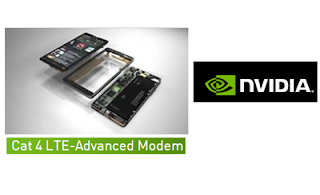 At this week's CTIA in Las Vegas, NVIDIA is showcasing its Tegra 4i mobile processor for mainstream smartphones with an integrated NVIDIA i500 LTE modem performing at 150 Mbps in the downlink. Earlier this year at Mobile World Congress in February, the same demo was operating at 100 Mbps. The performance boost is achieved with a software update for NVIDIA’s software-defined radio technology. Tegra 4i’s modem is also multi-mode -- it delivers 4G LTE Advanced and is backward compatible with LTE Cat 3, 3G, and 2G. Adams NetWorks (Illinois) - LTE network covering key markets in the western portions of Illinois. NexTech Wireless (Kansas) - LTE network covering northwestern and north central Kansas. Also offering LTE core network for regional operators. "We understand the benefits of LTE and the positive impact it can make on smaller communities. This has been the driving force behind Ericsson's rural LTE deployments from the very beginning and we look forward to continue working with more rural operators to bring the transformational power of LTE to their customers," said Craig Stein, head of Broadband and Media Accounts for Ericsson. Sprint announced the summer launch of a trio of mobile broadband devices that will take advantage of three bands of 4G LTE wireless spectrum available to Sprint’s network: 1.9GHz and 800MHz as well as Clearwire’s LTE network at 2.5GHz. The first tri-band Sprint 4G LTE-capable mobile broadband devices will be the sleek MiFi 500 LTE by Novatel Wireless, international-capable NETGEAR Zing Mobile Hotspot and the plug-in NETGEAR 341U USB Modem. Pricing and exact availability dates for the three devices will be provided at a later date. Mignon Clyburn officially took over as Acting Chairwoman of the Federal Communications Commission. She is the first woman to hold the chair at the FCC. Clyburn has served on the FCC since July 2009. She previously was a member of South Carolina's Public Service Commission, which regulates the state's investor owned public utilities, including providers of telecommunications services. In April, President Obama nominated Tom Wheeler as the next Chairman of the FCC, replacing Julius Genachowski, who recently stepped down. Tom Wheeler served as President of the National Cable Television Association (NCTA) from 1979 to 1984 and was later CEO of the Cellular Telecommunications & Internet Association (CTIA) until 2004. 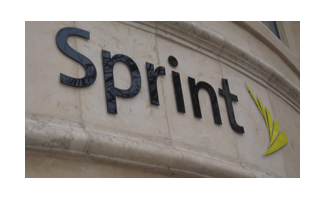 Sprint announce a new bid of $3.4 per share to acquire the approximately 50 percent stake in Clearwire that it does not currently own. This values Clearwire at $10.7 billion. Sprint's increased offer represents a 14 percent premium to Sprint’s previous offer of $2.97 announced on Dec. 17, 2012 and a 162 percent premium to Clearwire's closing share price the day before the Sprint-SoftBank discussions were first confirmed in the marketplace on Oct. 11, 2012 when Clearwire was also speculated to be a part of that transaction. Sprint said this offer represents its "best and final offer." Octasic introduced its newest Small Cell platform, the OCTBTS 4000, which provides OEMs with baseband hardware and software, three RF front ends, and an application processor. The OCTBTS 4000 allows simultaneous 2G, 3G, and 4G operation in a compact (170x170 mm) form factor with passive cooling. Capacity ranges from 16 to 100 active users across multiple cellular standards and channels. Featuring Octasic’s OCT2224W baseband processor and a power efficient application processor, the OCTBTS 4000 enables applications such as: traditional small cell deployment by operators, network extension for capacity and coverage, Network in a Box (NIB), emergency response networks, military networks, human portable BTS, surveillance, Internet caching and many more. 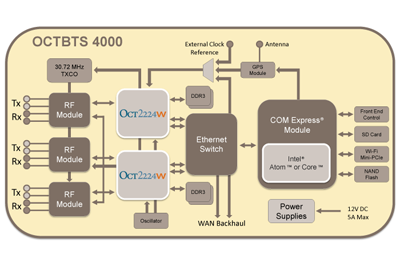 To run these advanced applications, the OCTBTS 4000 supports COM Express® modules ensuring a broad range of Commercial Off-The-Shelf (COTS) options. The OCTBTS 4000 will initially be delivered with the Intel® AtomTM processor N2600. The OCTBTS 4000 will be available from Octasic in July 2013. Microsoft unveiled its Xbox One, an all-in-one gaming and entertainment system for the largest screen in the house. Xbox One aims to put the consumer at the center of games, TV, movies, music, sports and Skype. Snap -- use Snap to jump into a multiplayer battle while watching your favorite movie, talk with friends on Skype while watching live TV, or track your fantasy team on TV as you watch the big game and more. Skype for Xbox One talk with friends on the TV in HD, or for the first time ever, hold group Skype calls on your TV. Xbox SmartGlass -- natively part of the Xbox One platform, built in from the beginning with the ability to quickly render content directly onto your device, and now more devices can connect at one time for multiplayer and shared entertainment. New Xbox controller -- features more than 40 technical and design innovations, including directional pad, thumb stick, ergonomic fit and new vibrating impulse triggers. 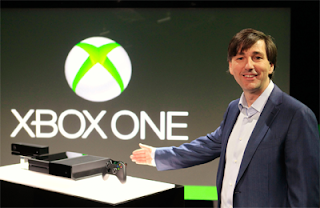 Xbox One will launch in markets around the world later this year. Pricing has been disclosed. Marvell introduced a quad-core 5-mode Category 4 LTE single-chip solution supporting LTE TDD and FDD, High Speed Packet Access Plus (HSPA+), Time Division High Speed Packet Access Plus (TD-HSPA+) and Enhanced Data for GSM Environment (EDGE). The Marvell PXA1088 platform incorporates the performance of a quad-core ARM Cortex-A7 with advanced Avastar wireless connectivity, including WLAN + Bluetooth 4.0 + FM single-chip SoC and the L2000 GNSS Hybrid Location Processor, as well as an integrated power management and audio codec IC. It supports Category 4 throughputs of 150 Mbps DL (Down Link). "I believe the LTE high-performance capability is critical for mobile devices such as smartphones, tablets and ultrabooks. Today, we are increasingly accessing live contents that requires high bandwidth and high throughput for all mobile computing, social networking, cloud gaming and other data intensive applications that are part of our daily lives. I'm very proud of our success with the multi-core 3G unified platform solution for the global mass market penetration. Now expanding the success of the quad-core PXA1088 3G worldmode mobile solution family, our new LTE device, the PXA1088 LTE, delivers best-in-class performance, shortens the time to market and enables seamless migration from 3G to 4G with worldwide LTE for our global Tier-1 OEMs and operators," said Weili Dai, Co-Founder of Marvell. Ericsson has begun the process of closing its telecom cables operation within business unit Networks. The company said the market for copper cable has declined over the last few years and production has shifted towards Asia. "It is a tough message to bring to our colleagues in the telecom cable operations in Hudiksvall and Stockholm today. The decision is based on the fact that Ericsson's production of telecom cables is small from a global perspective, and that we also have a small market share. There is overproduction on the cable market in Europe. Unfortunately, our production has not been operating at full capacity for a long time and has struggled with profitability," stated Tomas Qvist, head of Special Products in business unit Networks, and head of Human Resources for Ericsson in Sweden. 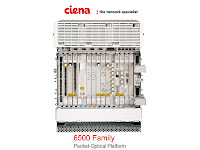 Russia's RASCOM is deploying Ciena's 6500 Packet-Optical Platform for a 100G upgrade of a route connecting Russia to Western Europe. This critical international network provides RASCOM’s wholesale and enterprise customers with a fully redundant ring architecture supporting cross-border traffic and the region’s first 100GE services. RASCOM operates a 8,600 km next-generation international network covering key geographical areas for cross-border traffic. 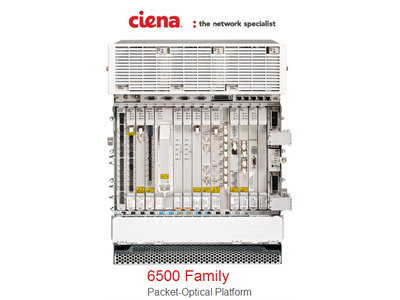 The recently expanded international network is based on Ciena’s 6500 Packet-Optical Platform and includes WaveLogic 3 coherent processors. It connects Moscow to Western Europe through St. Petersburg and the Nordic countries and is fully redundant, including a ring topology linking Amsterdam, Frankfurt and Copenhagen. The network is believed to be the first 100G route connecting Russia to Western Europe.